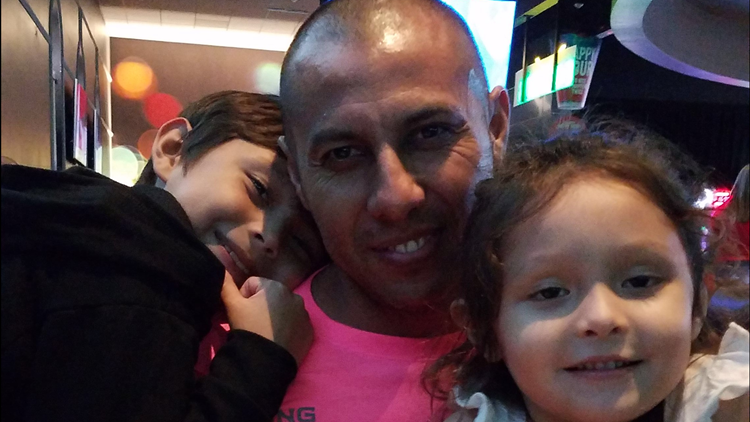 A military veteran family may be split as they navigate the U.S. immigration system. HIDALGO, Texas — An Iraq War veteran is facing deportation proceedings after being detained at the U.S.-Mexico border. Edgar Baltazar Garcia’s family is asking the government to allow him out on bond while he fights for his case in immigration court. Garcia, 35, was pulled over by U.S. Customs and Border Protection Feb. 1 while driving across the Hidalgo-Reynosa International Bridge after an agent pulled up his felony conviction record. The Army veteran and legal permanent resident traveled to Reynosa, Mexico to support his nephew, who was preparing for a boxing match, according his common-law-wife Jennifer. Jennifer, also an Army veteran, became worried their family will be split apart as they navigate the U.S. immigration system. The 35-year-old mother of two learned to leave no soldier behind. Little did she know that one day she would be in a battle to save the father of her children from being deported. “I’ve never once have had any kind of issues or problems with him,” Jennifer said. Garcia is now being held by U.S. Immigration and Customs Enforcement at the Port Isabel detention center, awaiting his first hearing. 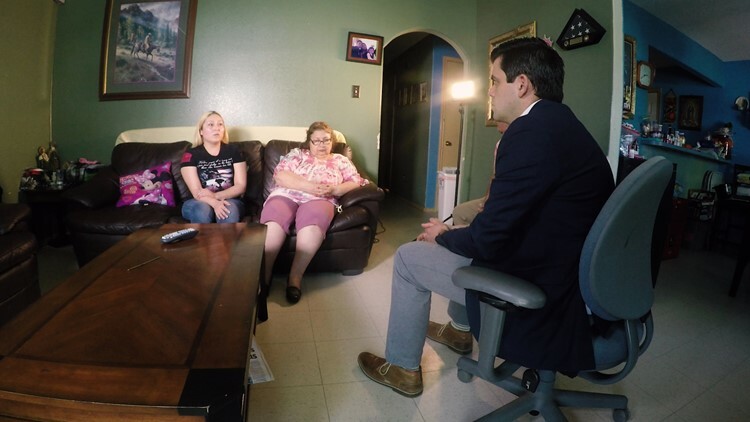 “You may have been convicted and completed your conviction for state purposes, but for federal immigration purposes it’s a completely different ball game,” noted immigration attorney Carlos Garcia, who has no relation to the family. 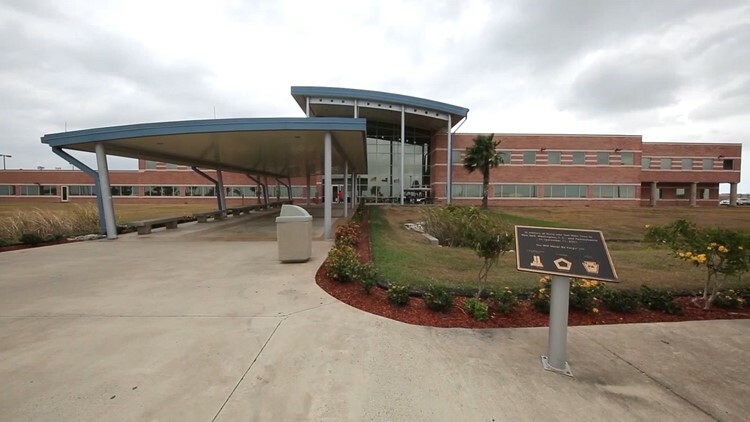 The detained veteran was sentenced in 2018 to six months probation for an aggravated assault with a deadly weapon against a relative. Carlos said that even non-citizen veterans can be deported once they commit a crime and many don’t know they shouldn’t leave the country. “What we’re asking is for is immigration to release him so that he can fight his immigration case while he’s not detained, and he can seek the appropriate psychological and medical needs that he was already receiving before he was detained,” he said. Garcia suffers from post-traumatic stress disorder and traumatic brain damage stemming from his deployment to Iraq in 2004. His mother, Amelia, said the family visits him at the detention every other week and speak regularly over the phone. She fears for Garcia’s safety if deported to Mexico. ICE confirmed to the KENS 5 Border Team that Garcia is in their custody, but would not say if he will be released on bond. The agency makes determinations of release on a case-by-case basis and exercises discretion when it comes to military veterans. A hearing for Garcia’s case is set for March 6 before an immigration judge, who will ultimately decide his fate.